Shoot 3-10 round magazines from a fully automatic MP5 and tour New Orleans's finest shooting range on this 2-3 hour tour! You will be picked up and brought to Louisiana's newest and prettiest shooting range, where you will get to play with the best toys in town. Come have a good time! 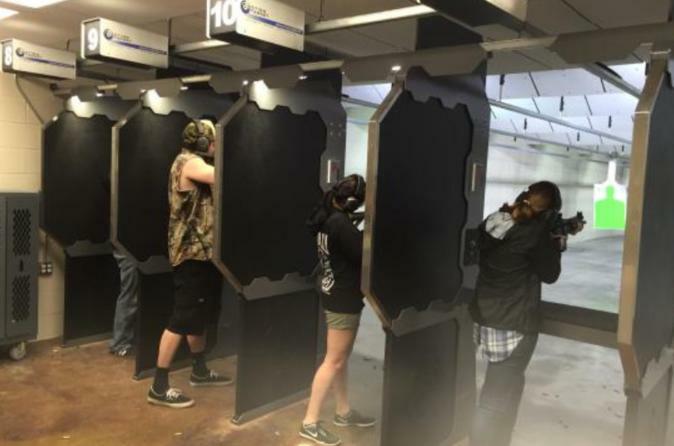 After being picked up from your downtown New Orleans hotel or Air BnB in an executive coach, you will head directly to one of the best shooting ranges in America! Upon your arrival, certified shooting instructors will be waiting for you with your magazines already loaded! After putting on your eyes and ears (eye and ear protection), you will be led into the private shooting range where you will receive instruction on proper gun safety and handling. Once everyone is ready, the shooting instructors will work with each guest one-on-one ensuring everyone has an enjoyable and safe experience. Should you choose to, there are other full auto fire arms that you can add to your package while at the range such as: Tommy Guns, UZIs, M-16s, AK-47s and the Kriss Vector. This tour is weather proof.